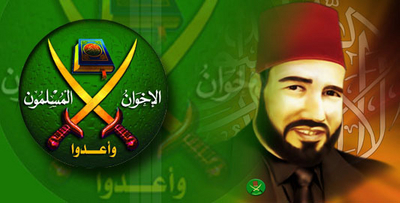 Hassan al-Banna, founder of the Muslim Brotherhood, whose long-term purpose is reflected in the word "prepare" appearing in their motto. This narrow-sighted approach sometimes leads to absurdities, such as when Homeland Defense's Paul Stockton, being questioned by Dan Lungren at a recent hearing, refused to agree that al-Qaeda "is acting out violent Islamist extremism," insisting instead that the group merely consists of "murderers." In doing so, he divorced reality from any meaningful context, thereby living up to the Obama doctrine of not knowing your enemy. Of course, all Islamists have the same goal: the establishment of a sharia-enforcing caliphate. The only difference is that most are prudent enough to understand that incremental infiltration and subtle subversion—step by step, phase by phase, decade after decade—are much more effective for securing their goals than outright violence. Then, once in power, "they will become much more savage." Accordingly, thanks to the so-called "Arab spring" and its Western supporters, more and more clerics feel they are nearing their ultimate goal of resurrecting the caliphate, the capital of which is to be Jerusalem. This sheikh, for instance, recently boasted that the caliphate will soon be restored and the West will pay jizya—tribute and submission, via Koran 9:29—"or else we will bring the sword to your necks!" So too this sheikh, citing infidel Germany as an example. And of course calls for jizya from Egypt's Christian Copts are growing by the day. Dr. Muhammad Badi, supreme leader of the Muslim Brotherhood, said: "The Brotherhood is getting closer to achieving its greatest goal as envisioned by its founder, Imam Hassan al-Banna. This will be accomplished by establishing a righteous and fair ruling system [based on Islamic sharia], with all its institutions and associations, including a government evolving into a rightly guided caliphate and mastership of the world." Badi added in his weekly message yesterday [12/29/11]: "When the Brotherhood started its advocacy [da'wa], it tried to awaken the nation from its slumber and stagnation, to guide it back to its position and vocation. In his message at the sixth caucus, the Imam [Banna] defined two goals for the Brotherhood: a short term goal, the fruits of which are seen as soon as a person becomes a member of the Brotherhood; and a long term goal that requires utilizing events, waiting, making appropriate preparations and prior designs, and a comprehensive and total reform of all aspects of life." The leader of the Brotherhood continued: "The Imam [Banna] delineated transitional goals and detailed methods to achieve this greatest objective, starting by reforming the individual, followed by building the family, the society, the government, and then a rightly guided caliphate and finally mastership of the world" [emphasis added]. Even so, it matters not how often and openly Islamic leaders like Badi articulate their grand agenda for the world to hear. Western leaders have their intellectual blinders shut so tight, frozen before the word "democracy"—even if "Arab spring" people-power leads to fascism (which, after all, will be someone else's problem after they leave office). Thus, here is former U.S. president, Jimmy Carter, who not only is "very pleased" with Egyptian elections—despite widespread allegations of voter-fraud against the Muslim Brotherhood—but, when asked if the U.S. should be concerned about the Islamist victory, said "I don't have any problem with that,and the U.S. government doesn't have any problem with that either. We want the will of the Egyptian people to be expressed." Accordingly, the Muslim Brotherhood and all its offshoots can rest assured that, so long as they do not engage in direct terrorism, they can continue unfettered on their decades-long march to resurrecting the caliphate, which—if history and doctrine are any indicators—will, in its attempt to claim "mastership of the world," be a global menace.